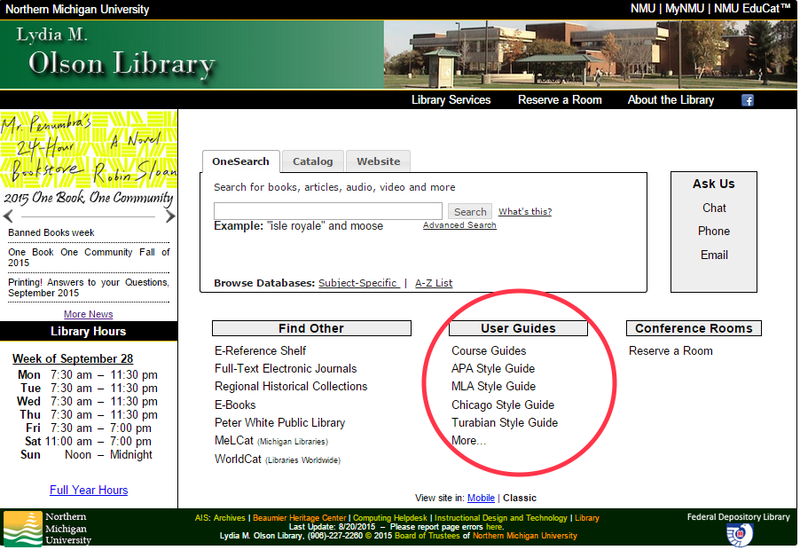 APA, MLA, Chicago Oh My: Style Guides from the Library! Papers always seem to sneak up on you, mainly because you keep putting them off, saying “oh I’ve got a month.” Once you finally start writing, the references always seem to be the thing that keeps you up late the night before the paper is due. Don’t worry, we can help you with that! 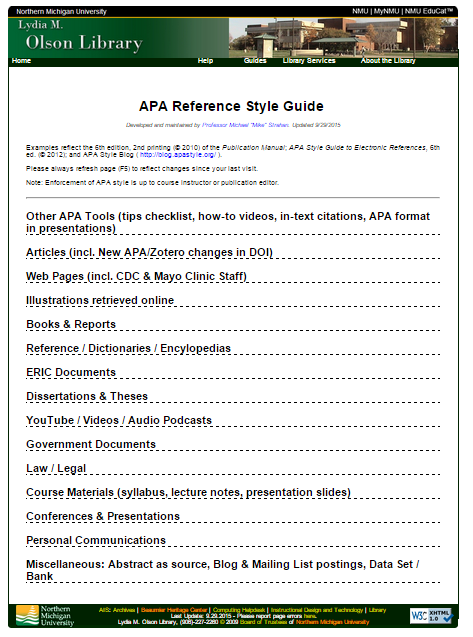 We have quick guides to four of the main citation guides–APA, MLA, Chicago, and Turabian. Starting on our homepage, look under User Guides (circled in red below), and pick the style you are required to use for your paper. For most research papers in the social sciences, you’ll be required to use APA style so that’s what we’ll be working with. After you’ve selected your style guide, there will be a list. This list is filled with every citation you could possibly need. I’ve chosen to look up a book citation. As you can see underlined in purple, online and print books are cited differently. When you click the expand button next to the blue arrow, it will take you to a more detailed citation guide that shows you the correct format for that source. Citations are very precise so make sure you are citing the correct item. 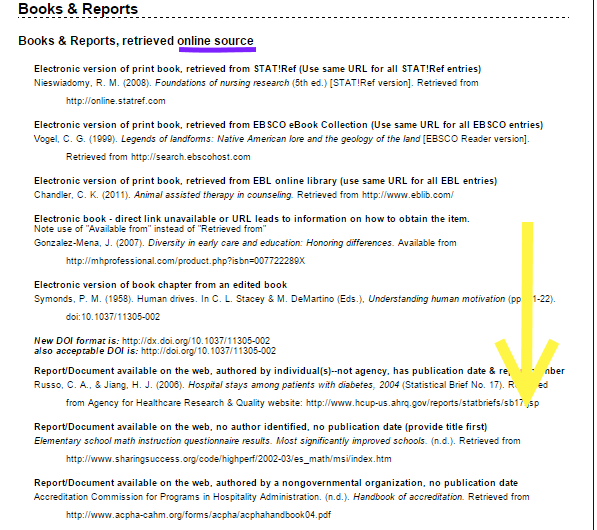 Note, when you expand the page, you must scroll (as indicated by the yellow arrow) to reach the print citations. Although definite time savers, our quick-reference style guides still require you to manually create your own citations. A faster way is to use free reference manager like Zotero, which can import sources you find by using OneSearch and then create in-text citations and a reference list in MS Word all in a few clicks of your mouse. Thousands of citation styles are available through Zotero. If you have any questions, please don’t hesitate to stop by or contact us!